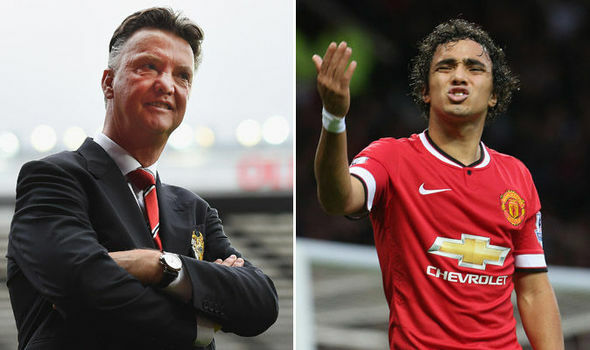 Former Manchester United and Brazil defender, Rafael da Silva tears into former manager, Luois Van Gaal, after the dutch man bluntly told him he could leave the old Trafford outfits apparently because he bears grudges with Brazilian - the fullback alleges. "When it was announced that Van Gaal was taking over, four or five people, including players, called me to say that he doesn't like Brazilian players. They pointed out what had happened with Rivaldo [who clashed with Van Gaal] at Barcelona, but I didn't believe it." "In his first season, Van Gaal called me to his office and said: 'You can leave. The meeting lasted one minute. That was it: 'You can leave.' It took time for me to go, but I was desperate to leave when I did, and that saddens me because I loved everything about Manchester United." "Van Gaal texted me to say: 'You know how football is.' I couldn't believe it. He didn't speak to me and then texted me to wish me well. I said: 'Thank you.' I was being polite. But I was angry." "Van Gaal is not a bad coach, but I didn't like his character. One day, I was in the canteen waiting to eat. Van Gaal used to speak to us after we'd eaten each day. I had a head injury after a game at Yeovil -- one of the few games I played in that season -- and I was touching my injury. After three or four seconds, he touched my head and said: 'Why don't you respect me?'" "I stood up and said: 'I always respect you. I've never said anything which was disrespectful to you.' I am a patient guy, but I got angry then. I had done nothing wrong. Antonio [Valencia] later said to me: 'You're not going to play again.' Players didn't speak back to Van Gaal. Antonio was almost right; I barely played again." "I love Manchester United, but I was so desperate to leave. Only one man did that because I liked everything about the place. I couldn't handle him anymore." Rafael and his brother, Fabio da Silva were brought to Manchester United in 2008 by Sir Alex Ferguson and both won the English Premier League three times before departing in 2014/2015 -Rafael currently plays for Lyon and Fabio for Middlesbrough.